You are here: Home / Cancer Treatments / The Best Anti-Cancer Essential Oil You’ve Never Heard Of? Copaiba (pronounced co-pie-EE-ba) essential oil is not well known in many parts of the world, but recent research reveals it to be one of the most promising new anti-cancer essential oils. Copaiba is derived from the sap or resin of a South American tree genus known as Copaifera officinalis. Copaiba has a subtle aroma, reminiscent of cinnamon and honey, tinged with a hint of wood similar to a very diluted cedar. Copaiba resin has been used in South America for centuries to treat conditions ranging from sore throats, tonsil infections, bronchitis, pain relief, wound healing, and was even used to treat gonorrhea. Massage the oil directly into affected areas. Diffuse the oil into the room using a cool mist or ultrasonic diffuser. Drip a few drops of copaiba oil into the palms of your hands. Breathe it in deeply. Apply copaiba oil to the soles of your feet. Put a few drops of copaiba into your bath water and have a good soak. Copaiba is considered safe for internal use as well. You can place several drops of copaiba oil into an empty gelatin capsule and take it internally (with food is best). Make sure your copaiba essential oil comes from a trusted source and has no chemicals or toxins. Never apply essential oils anywhere near eyes or ears. Do a patch test on your skin to see if any reactions occur before using. Work with someone knowledgeable in the use of essential oils. Do not rely on any essential oil as a stand-alone treatment for cancer. Great article. You’re right! I had never heard of it. I can look for it now though. Great article. I like how Copaiba magnifies the properties of other essential oils. I get mine from Young Living. I understand that Copaiba does increase the effectiveness of other oils. 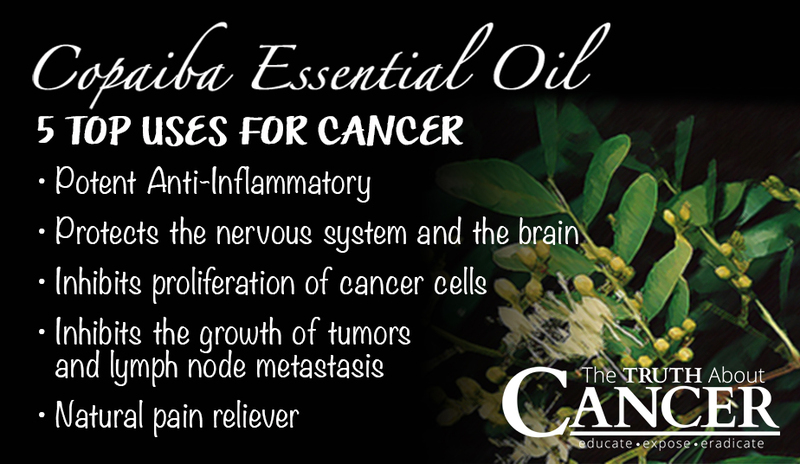 Imagine using Frankincense and Copaiba together for cancer treatments and Copaiba with the other top cancer treating essential oils! I too buy my oils from Young Living. They have a great reputation for high quality oils. Yes I too have this oil from young living and I’ve had it in my kit and didn’t know about it’s properties. I am very happy because I have breast cancer and I’m going to use it along with frankincense. Thank you!!!!!!!! 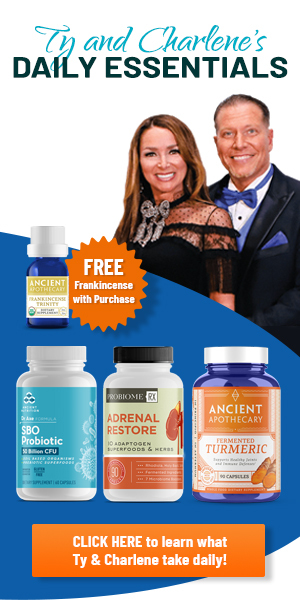 Never heard of it either, but I would like to use it, I’ve been using Frankincense for a few months now and am impressed with the results too, I’ve been learning so much from websites like this one. The oils I am using now are a very high quality Certified Therapeutic Grade I got them at mydoterra.com/maribelmaldonado A few months ago I didn’t know anything about essential oils, now I am impressed at the benefits from them! Good price; has anybody had experience with this company: rockymountainoils.com/ ? I am using them. I did quite a bit of research and believe they are a good, trustworthy company. Thanks! This was a great article. I’ve been using young living essential oils for 2 years now and have seen and feel the benefits from them. This copaiba oil sounds amazing. I”ll start using it as well! Has anyone bought essential oils from bulk aromatherapy.com. I heard they were pretty good also. Dear Marnie, I would much prefer to know the actual source of all the research you refer to, rather than just the date. The fact that you refer to research but only share the date of when it took place makes me question the integrity of this entire article. Click on the link “Sources and References” at the end of the article and it will show them. Can Copaiba oil be used for rectal polyps cancer cells? Whats the dosage ? Use it in an enema implant with about 100mL of water. Try and retain it. Use always organic oil, in connection with chemicals in the non-organic. 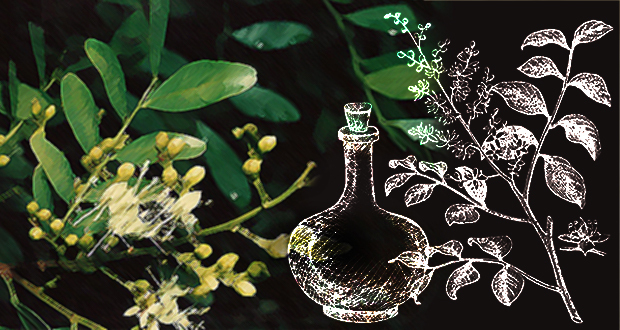 There are differences between Copaiba essential Oil and pure Copaiba Resin? YES, absolutely. Raw copaiba oleo resin is different from copaiba essential oil. Raw, filtered oleo resin is the stuff you want to find. From trusted organic or legitimate wildcrafted sources. 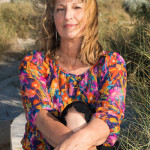 I’ve been using in my bodywork practice for 20 years, was trained by a naturopath who studied and sourced directly from the Peruvian rainforest indigenous tribes on land her partner owned. It worked magic for pain, spasm, inflammation, gastroesophegeal spasm, stomach and digestive issues, herpes, hemorrhoids. When she retired I tried other sources. Most didn’t work or were weak dilutions. Essential oil is a narrow (though often very valuable) isolate of a very complex plant compound. One source she recommended is Amazon Therapeutic Laboratories Copaiba Resin Oil. They have worked for me and my close relations, internal and external usage. Can I use copaiba externally on my 17 lb dog that has multiple soft tissue scar coma tumors on her chest? Currently, I am applying Frank & Grapefruit but would like to try copaiba. I have read that it cannot be used for animals? I THOROUGHLY ENJOY COPAIBA. I USE IT AS A MOISTURIZER ON FACE AND HANDS MIXED WITH COCONUT OIL. I LOVE THE SCENT DIFFUSED, VERY RELAXING. I GET MINE FROM “MOUNTAIN ROSE HERBS” IN EUGENE, OR. IT IS ORGANIC TOO. AWESOME QUALITY, SERVICE, AND PRICES. 5 🌟s!!!!!!! THEY ALSO SELL IN BULK 1/2 OZ TO 16 OZ. THE COLD WEATHER HERE IN NY DOES A JOB ON DRYING OUT THE SKIN AND THIS HELPS TREMENDOUSLY. GREAT PRODUCT.